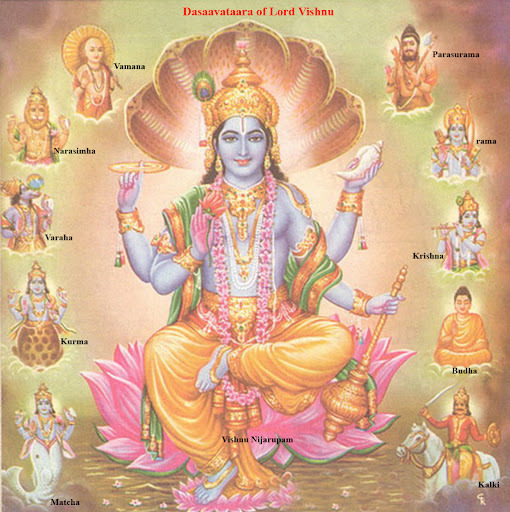 Dashavatar - The Ten Incarnations of Lord Vishnu. 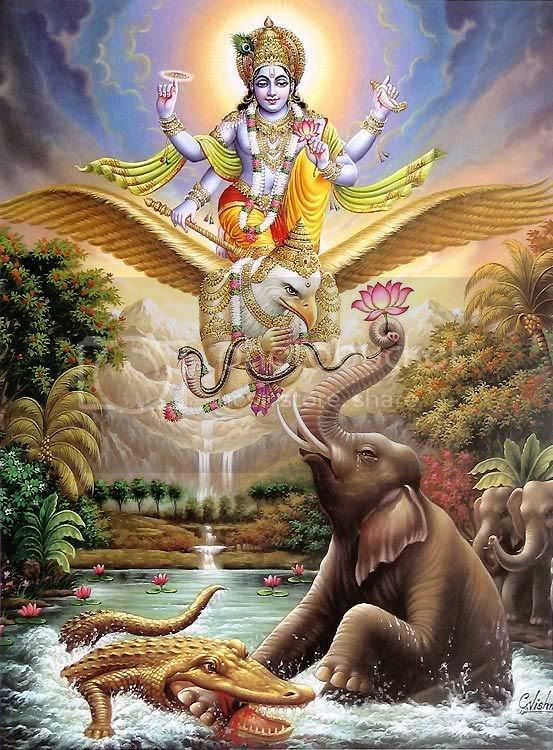 Lord Vishnu is the protector and preserver of the world and restorer of dharma. Dharma means peace and justice - its the order in the universe. Lord Vishnu is in charge of making sure that Dharma prevails in the universe. "Whenever Dharma, or the situation of law and order, is endangered on this world, I shall incarnate onto this world to re-establish Dharma, law and order, and to protect the good people and to destroy the evil elements of the society….Lord Vishnu. When in Avatar, God is like one of us….He is born on this planet, he grows up here and then when the time is right imparts His knowledge upon us. It is always easier to understand and appreciate someone who is one of us, someone who is among us - Its like when as a parent you are trying to teach good things in life to your child, the best way to do this is by example - by living a good life. Kids learn more by example and less by rules. In the next coming ten posts I will post about each of these Avatars…. thanks for the information's that u have provide..can't wait to read more..
thanks for the information's u have provide..hope to see updates soon..